Some reflections on my Wednesday morning quiet time with God. These are the words that Moses reports God gave to His people, the ancient Israelites, in the wilderness. What strikes me is how God begins this directive: "See, I have given you this land." Had an Israelite responded that they, in fact, didn't see that God had given God's people this land, their response would have been understandable. After all, the land was occupied by other peoples: Amorites, Canaanites, the peoples of Arabah, and others. "No," an Israelite might have felt tempted to say to God, "I don't see that You've given us this land." 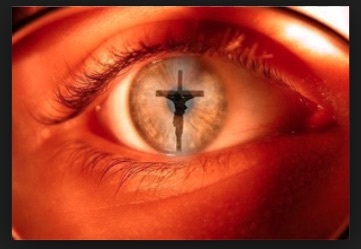 But God was telling His people--commanding them, really--to see with the eyes of faith. There would be struggles, conflict, difficulties, and sacrifices. Those facts didn't alter God's promise nor His command. "This is the land I promised you," God is saying. "Go, occupy it." I wonder how many of God's gifts I have failed to claim because I failed to see through the eyes of faith what God was giving to me? How many of God's gifts have I failed to claim because all I saw were obstacles, risks, dangers, challenges, or sacrifices? And I wonder how often people refuse to turn from sin and embrace God's forgiveness because owning up to our deficiencies and sins and owning up to our need of God is hard? How often do we (how often do I) hold onto easy sins rather than plunging forward into the hard grace that, freely offered through Christ though it is, asks me to leave behind the comfortable certainties of a me-centered wilderness for the God-given life that I can't control, that I am simply called to trust?